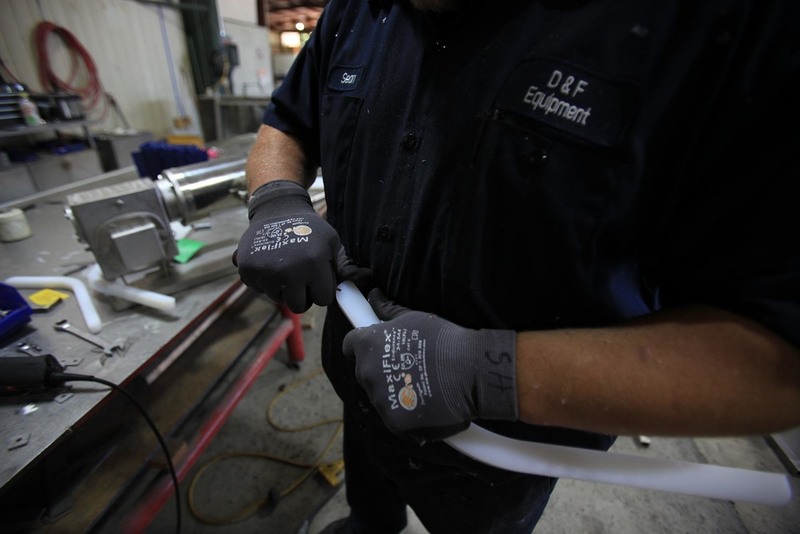 D&F Equipment Sales Fabrication team specializes in fabricating stainless steel equipment and parts. 30 years of experience in fabricating conveyor and food handling systems along with the dedicated service of our fab team provide the skills and know how necessary to supply you with the finest equipment and systems available. 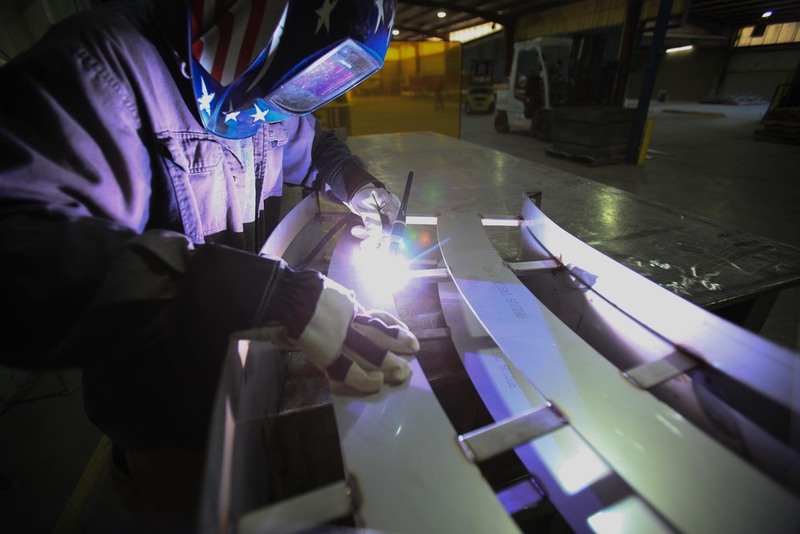 As the second stage of our process, each system is evaluated in tandem with the engineering team to ensure the quality and workmanship is up to the highest standard and spec. We are always investing in the most current fabricating equipment and technology to stay current with modern techniques, our most recent purchase being a state of the art Trumpf 8k/watt Fiber Laser. We also developed a new finishing technique called SanGuardTM to give you the most cleanable surface in the fresh material handling industry. 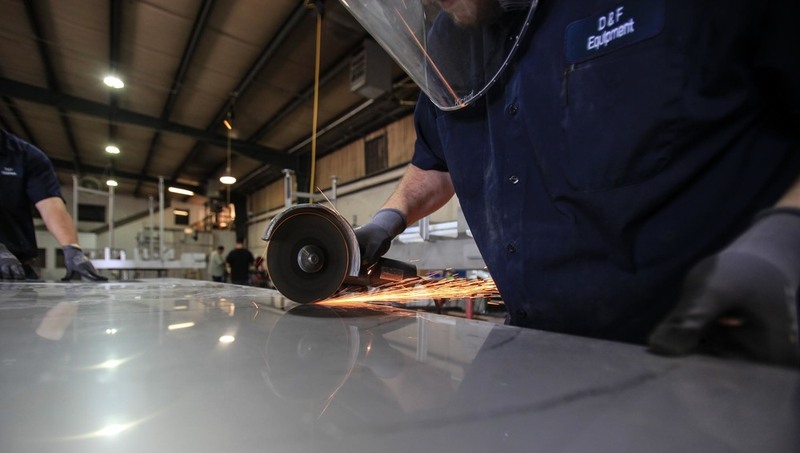 This, along with shrink wrapping each system after treatment, helps toward keeping the stainless surfaces as safe as possible from environmental contamination. All equipment is checked, assembled and tested prior to shipment to ensure compliance with plant layout and operation in the field. 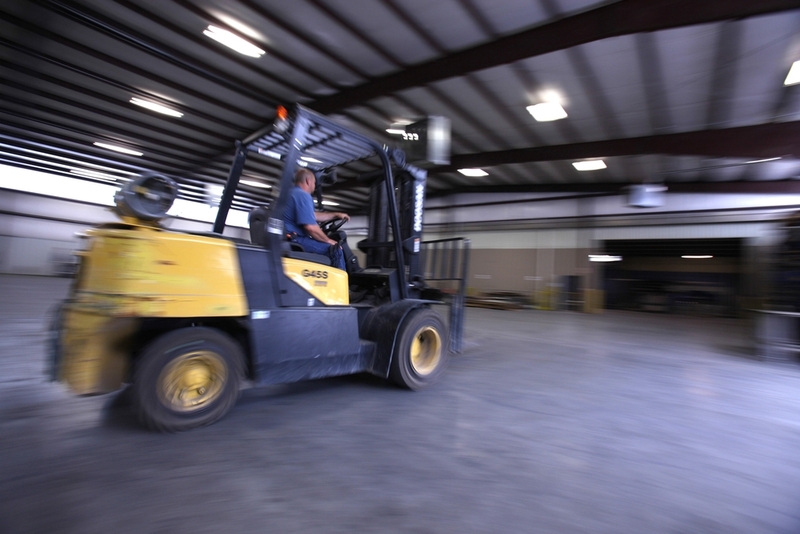 We have many years of experience in managing the construction of your equipment. Our processes and designs are time tested under the most strenuous of environments and situations. All components are chosen not only on price, but also on quality and durability to insure long term operational readiness and efficiency. With all that, the most important ingredient in our philosophy is service. When there is no time to spare and your plant must be in production, you have to be able to depend on your partner to get the job done and done right. No job is too big or too small as we are ready, day or night, to deliver to our customers to make sure their plant stays up and running. With 30 years of experience, our team is the best in the business.